“10 or more public performances by electronic means, during any 180-day period, of 1 or more copyrighted works” will result in “not more than 5 years” of imprisonment, so long as the performance in question is valued at at-least $2,500 USD, or if the value of a license to legally “perform” the content is valued at $5,000 or more. Now, to us this means nothing in it’s present context, so I’ll let Joystiq explain why this bill is a major problem for gamers. These are, in essence, the same criteria that allow for DMCA take-down notices to be issued by copyright holders, however jail time and felony status are not currently associated with this particular flavor of copyright infringement. Should this bill jump through all the right hoops, its broadly worded contents could potentially cover everything from homemade gameplay clips (commonly referred to “Let’s Play” videos), to fan-made music videos, webcam cover songs, and anything else that involves copyrighted music or video. S.978 could also potentially cover cell-phone videos of concerts and press events, making 13-year-old Beliebers and jaded gaming journalists alike equally in danger of losing their right to vote. If accepted into law, these addenda will be attached to existing copyright laws and will not only apply to YouTube users, but to the sites that embed YouTube content as well. 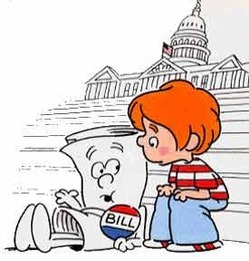 Let’s Play videos are a good example of something that would violate this bill if it became law, but the terms of the bill are so broad that almost anything with a shred of copyright material could potentially have you labeled as a felon. If you include so much as a copyrighted song over a video, you could be in big trouble. Other types of gaming videos that could be blacklisted would include videos of demos, such as all the great Skyward Sword demos that were recorded by E3 attendees, who were not authorized as “Press.” Will parodies cross the legal line? Then there’s all the ZeLink videos; oh how the internet will be empty without those. Once again the terms of the bill are very broad, so its hard to determine where to draw the line between what would count as a felony and what wouldn’t. However, if the bill does pass, it will certainly change the youtube scene as we know it. Currently, the only consequence for posting copyrighted material is a slap on the wrist and the removal of the material. Five years in the slammer is a big jump up from that. Yes, the material is owned by someone else. Yes, they have certain rights associated with that material, but these measures are too extreme, especially when considering that a large portion of the content in question is posted by minors who don’t understand that what they’re doing is illegal. The battle between copyright infringement and the creative license is a long and grey one. When does the use of copyright material deviate enough to be considered legal? Tell us what you think down in the comments.